One official body that will be interested in your new company will be the Inland Revenue, and your business will need to be registered with this office. For some people, the name Inland Revenue conjures up miles of red tape and forms to fill in. However, the paperwork side of your business does not have to be an excruciating task, and the earlier you start the better. Registering with the HM Revenue and Customs (HMRC) should be a priority for anyone who is going into business for themselves. It is a simple task that should be completed as soon as possible, or at least three months after starting your business. You will need to register your business if you are set up either as a partnership or as an independent trader. If you fail to register your business then you could ultimately face heavy penalties. The amount of taxable turnover you can make each year before you have to register for VAT will usually be decided in the annual budget. If you do register for VAT even though you are not required to there may be some tax advantages for your company. However, your accounts will need to be meticulous and open for inspection by the HM Customs and Excise. 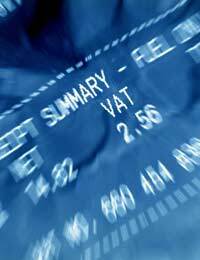 VAT returns will usually be requested every three months even if your business is not due to pay any VAT. For self-employed people there are two different types of National Insurance contributions. Class Two contributions are a set amount paid weekly. Class Three contributions are percentage of your taxable profit set between the minimum and maximum point of this profit. Sole traders will pay Class Two contributions when they begin trading. An assessment will be made once the business has returned its Self Assessment Return on the amount of Class Three contributions required. Self Assessment Returns are required each year in order for your business to pay its income tax. Most businesses will use accountants to calculate the figures and return the forms, but this is not entirely necessary. However, an accountant will know the best ways to claim all tax allowances that are possible. Using an account will cost money, but the fees can usually be recouped by the allowances that an accountant will be able to work out for your business. There are a number of small businesses and sole traders who will avoid paying income tax and National Insurance contributions. It is illegal to do so, and the penalties can be severe depending on how many years the business has avoided paying and how much should have been paid. It is quite common for small traders to ignore registering with the Inland Revenue simply because they do not want to fill in the forms. Even if you have been trading for a number of years without paying tax you can still avoid prosecution by contacting the HMRC. The HMRC can prosecute businesses for serious fraud if the business avoids paying income tax and National Insurance contributions. However, coming forward and admitting the avoidance can save money in the long run. The HMRC will usually ask for a settlement that will be based on the unpaid tax amount, interest on the unpaid amount and penalties. Penalties are calculated as a percentage of the unpaid tax. The best way to repair the situation is to take initial advice from a taxation advisor or an accountant. More information on registering with the Inland Revenue can be found on their government website. You can register online quite simply and there is a helpline available. Registration should be completed within at least three months of starting a business. Avoiding registration will only draw out the process and could lead to severe legal problems. Accountants and taxation advisors will be able to give information on any issues with the Inland Revenue.